Not a completely new Metroid game, but hey. I'll take it. Nintendo doing more copy Sony with a Remake. I think this is a remake in the cinematic sense of the word, a newly made from the ground up retelling of the story, rather than in the Sony sense where they replace the textures and lighting engine. VERY excited for this, even if I am a little peeved I'll have to turn my 3DS on. Yes, they've changed so little that it definitely looks like a pure remake, à la TLoU. And they haven't just introduced new moves or anything. Honestly mate. There are games like MK8D that that would work well enough for, but here you're completely off the mark. You were parachuting onto the mark and completely overshot. Into the sea. And the sea is lava. Also it's pretty for a 3DS game. Yeah Metroid II was pretty straight forward & didn't even have a map feature if I remember correctly so I'm well up for this. Looks ace & that counter/parry move? Ooh, does this mean Magical Math Quest is coming soon? Miserable Retrograde Crumpster that I am becoming, I think I'm looking forward to this more than MP4. I definitely prefer the 2D Metroids, me. You'd better be-stem-and-leaf it, my man! only 3 months away as well. I've got a lot of time for 2D and 3D metroids. The one doesn't feel like a gelded version of the other, like 2D Zeldas feel to me. GotY material right there. Forget SMO, cast aside BotW. Magical Maths Quest is going to multiply fun, subtract boredom, and... er... integrate RPG mechanics! Also being the pampered millennial I am I much prefer 3D Metroid, never finished a 2D one. Hopefully I'll fare better with this. Odd- the reason I've completed more 2D metroids is that I find them easier to both play and also get my head round. I never finished Super Metroid because there's one less dimension in which to dodge, so an early boss kept kicking my (in before 'git gud') Varia-suited behind. Also I just prefer 3D games in general. I could say something about there being one extra dimension in which to explore, but I'm pretty sure I'm pulling that out of the aforementioned metal-plated posterior. Probably just that I grew up with them, whereas Jimbob and Zero grew up with flatties. Probably just that I grew up with them, whereas Jimbob and Zero grew up with flatties. I remeber Metroid when it was called Codename Droid. I'm generally the same, 3D games naturally excite me more, but with 2D Metroidvanias I can approach the exploration in a much more methodical way. I like being able to picture the map in my head and colour in the squares. I just prefer 3D games in general. I could say something about there being one extra dimension in which to explore, but I'm pretty sure I'm pulling that out of the aforementioned metal-plated posterior. Probably just that I grew up with them, whereas Jimbob and Zero grew up with flatties. There's something in that, I'm sure. As I've mentioned before, the 3D era took me a while to accept, most likely because I "grew up with flatties". For me, Super Metroid is slightly better than Metroid Prime... but it's surprisingly close. Prime is an absolute masterpiece - but SM is a masterclass. A lot of folk seem well up for this. I didn't know that Metroid II on the Game Boy was held in high regard. My only memory of it was playing it in a church hall when I was bored out of my gord when I was six, and it made no sense to me at all. It's plays older than all of us put together. Metroid II from 1991 B.C. Are folk just happy for another Metroid, or is this something that I should actually be arsed with? 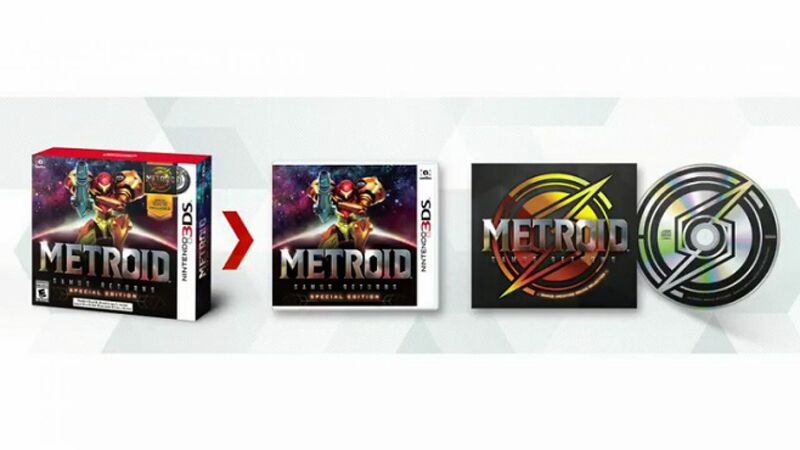 I think they've suitably refreshed how it plays, Cappa, so we're essentially getting a brand new 2D Metroid. That combat looked tasty - parries in my Metroid! The special edition and amiibo sure do look nice. The metroid amiibo is even squishy. Basically this. All of this, right down to the meaty-feeling parries. It didn't look like a GB game at all, and had new items and everything. It almost looks more like ALBW compared to LttP: same world, different everything else. 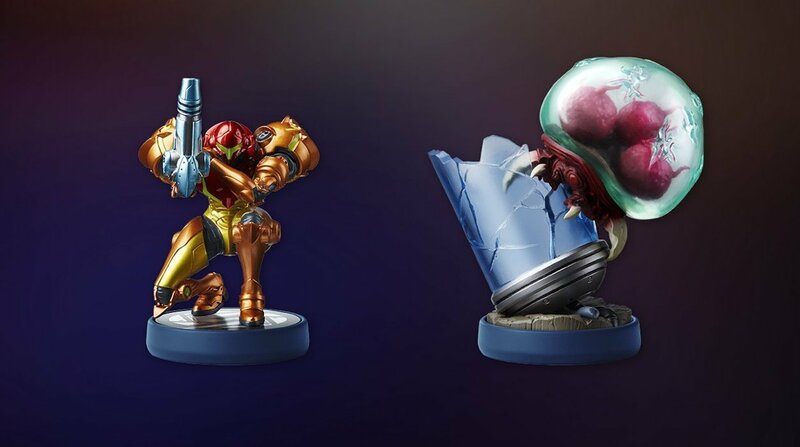 I'll continue my trend of being entirely unarsed by the special edition, but I'm up for a squishy Metroid amiibo! I like all the amiibo that actually do things. 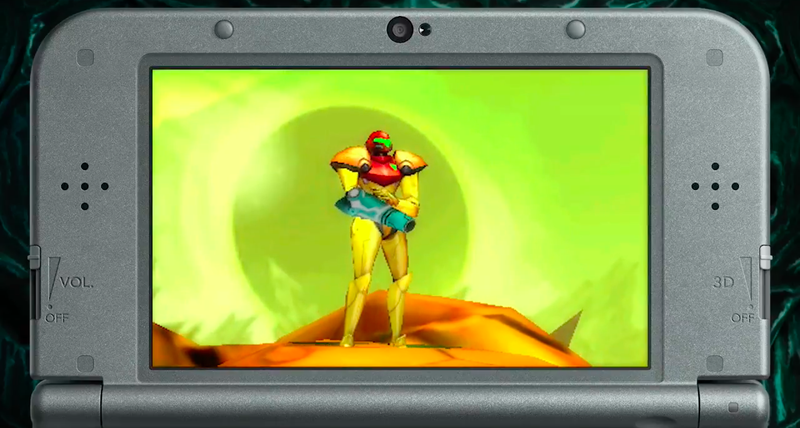 They have not announced what they do yet but the smash bros Metroid amiibo do work with it. I thought you'd be all over it for the CD soundtrack.